WASHINGTON — Turkey, a key partner in the F-35 Joint Strike Fighter program, is reportedly still in talks with Russia to deliver the S-400 Triumph air defense system, despite opposition in the U.S. Congress. “The contract with Russia on S-400s remains in force and these defensive systems will be delivered to Turkey. Now talks on this issue are underway,” Turkish Foreign Minister Mevlut Cavusoglu said, according to the Russian news agency, TASS. TASS reported March 29 that Moscow aims to complete production in May for subsequent delivery to Turkey. The comments came as a bipartisan group of U.S. lawmakers offered legislation March 28 to ban the sale of the the transfer of F-35 Joint Strike Fighter to Turkey until the U.S. government certifies Turkey will not accept delivery of the S-400. “Turkey is an important NATO ally and willing partner in addressing a number of U.S. national security priorities,” said Sen. James Lankford, R-Okla. “It’s concerning that Turkey would seek close defense cooperation with Russia, whose authoritarian ruler seeks to undermine NATO and U.S. interests at every turn." Lankford introduced the bill with Sens. Jeanne Shaheen, D-N.H.; Thom Tillis, R-N.C., and Chris Van Hollen, D-Md. “Make no mistake — the Kremlin is an adversary of the United States and many of our NATO allies. The prospect of Russia having access to U.S. aircraft and technology in a NATO country, Turkey, is a serious national and global security risk,” Shaheen said. 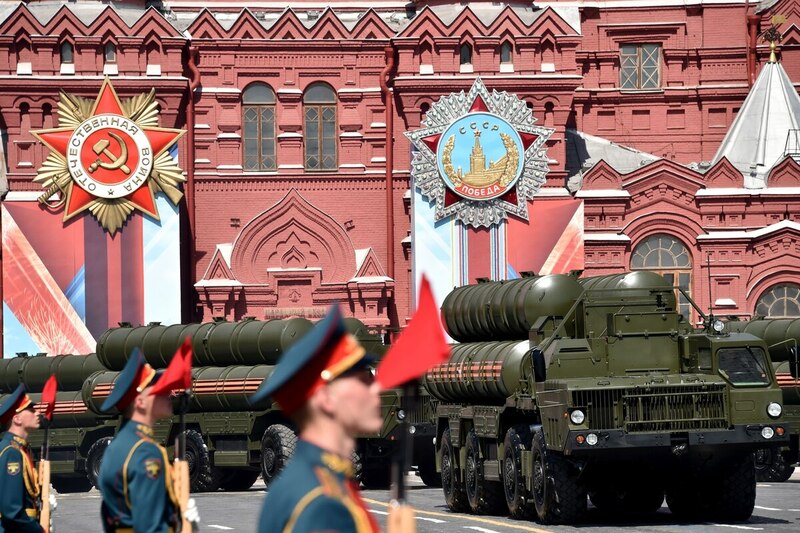 The bill is the latest effort from Washington to try to convince the Tayyip Erdoğan-led government to cancel the S-400 deal. U.S. and European officials believe Russia would gain the ability to spot and track the fifth-generation fighter. The U.S. has offered Turkey its Patriot missile defense system as an alternative but the two nations have apparently been unable to consummate a deal. U.S. Army Gen. Curtis Scaparrotti, who is the current Supreme Allied Commander Europe for NATO and the head of American forces in Europe, said early last month that the F-35 sale to Turkey should be cancelled if it buys the S-400. A day later, Erdoğan told local television channels that not only will Turkey stick to its S-400 acquisition plans, but it might also seek the more advanced S-500 in the future.